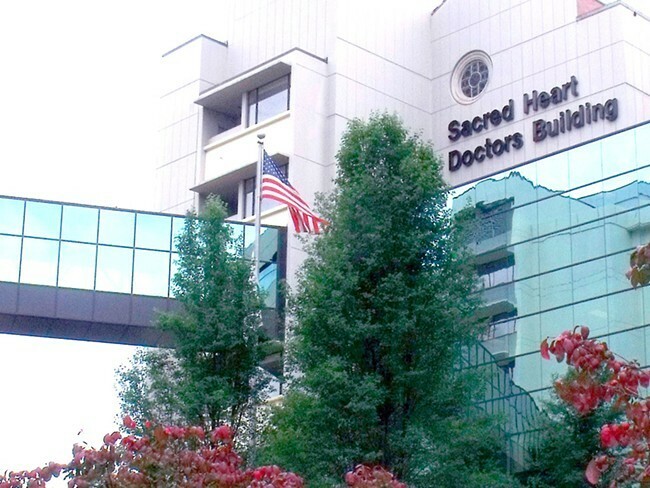 Providence Sacred Heart Medical Center has notified employees that it will eliminate positions throughout the health care system in order to cut costs. Providence has not shared how many employees will be impacted. Those affected by the workforce reduction are being notified this week. "Health care economics have changed dramatically, and we need to adjust how we operate so we can continue to serve our communities," says Elizabeth DeRuyter, director of external communications for Providence, in a statement. Providence says it is making an effort to fill already-open positions with employees whose positions were eliminated. Open administrative positions are now closed to external candidates, and will be filled only with internal candidates for the rest of the year, according to Providence. "Critical roles," including those that impact patient safety and quality care, will remain open to external candidates. DeRuyter says this is a result of an industry-wide trend in reduced revenue. Reimbursement rates are not keeping up with the cost of care, she says. While the year-to-date gross income is similar to last year, there have been thousands more patient encounters than this time last year. And those patients have greater health care needs, she says. In an email sent to all Providence caregivers, Providence explained that payments from Medicare, Medicaid and commercial ensurers had been reduced, while supplies, prescription drugs and employee costs are increasing. "Over the course of 2016, we have experienced significant challenges in our financial performance as a result of those reductions in payment and increased costs," the email reads. Other efforts to cut operational costs — like holding off on non-critical capital projects and not filling some administrative positions — have not worked, according to Providence. That means the health care system has been forced to additionally reduce a "limited number of filled positions," though exactly how many positions not been shared. Employees are being provided a 60-day notice period if their positions are being eliminated. "These are always difficult decisions and we are committed to thoughtful review before making any changes," DeRuyter says. "We will not make any changes that have an impact on providing high-quality care to our patients."